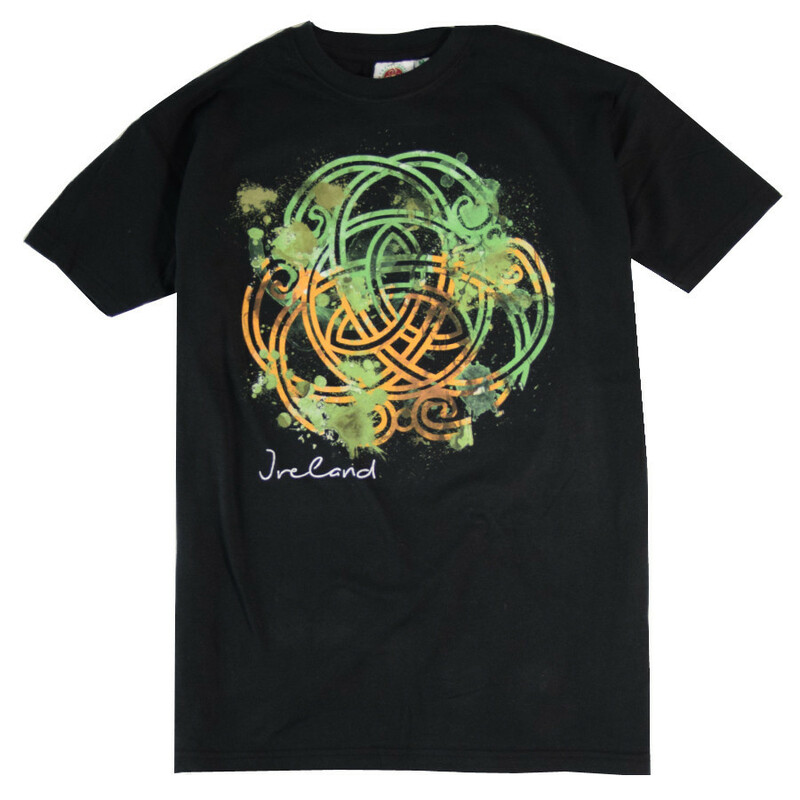 This is a pretty black t-shirt with a celtic print on the front. Black cotton T-shirt with short sleeves. Celtic print to the front with the word "Ireland".